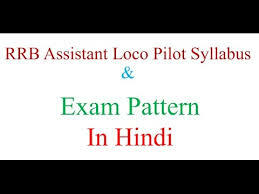 General Knowledge questions on Indian GK for Bank PO, IBPS, Bank Clerical And Indian GK For RRB Assistant Loco Pilot Group D 22-02-2018 questions for bank exams, very important computer-related questions for Bank PO, SBI PO, IBPS,RAS, IAS, UPSC, RPSC, 1st, 2nd, 3rd Grade Teacher, REET CTET, LDC, SSC CGL, IBPS, MBA, CAT, MAT, SBI-PO, RBI And Railway, Indian Army And all competitive Exams, and Most expected Computer Question Papers with answers. These Questions are most commonly asked in Other Banking Exam And All subject Wise Notes and Math, Hindi, English, History, Political Science, Psychology, Sanskrit Related Study material. Question (2) When did the lifeline Express start? जीवन रेखा एक्सप्रेस कब शुरू हुई? Question (3) What is the location of Indian Railways in Asia? Indian railway का एशिया में कौन सा स्थान है? Question (4) Which place is there in Indian Railway? Indian railway का विश्व में कौन सा स्थान है? Question (5) What was the name of India’s first railway tunnel? भारत की पहली railway सुरंग का क्या नाम था? Question (6) Where is India’s largest railway yard located? भारत का सबसे बडा railway यार्ड कहां पर स्थित है? Question (7) Which is the longest railway bridge in India? भारत का सबसे लंबा railway पूल कौन सा है? Question (8) Which is the busiest railway station in India? भारत का सबसे व्यस्त railway स्टेशन कौन सा है? Question (9).Where did India’s first metro train? भारत की पहली मैट्रो ट्रेन कहाँ चली? Question (10)Where is the Indian Railway Museum located? Indian Railway म्यूजियम कहाँ पर स्थित है?